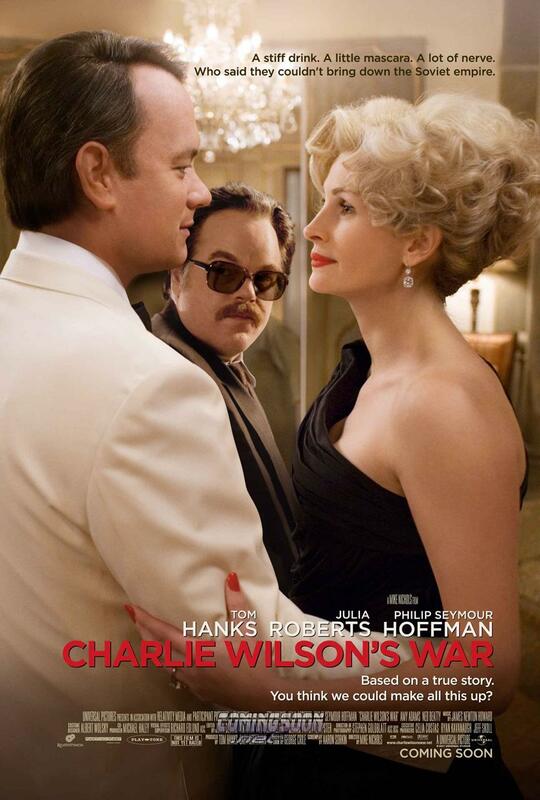 Charlie Wilson’s War is a highly entertaining film. It is funny, fast-paced and extremely well acted. Phillip Seymour Hoffman is captivating as Gust Avrakoto, the cynical, highly skilled CIA agent who helps Congressman Charlie Wilson (Tom Hanks) and Joanne Herring (Julia Roberts) finance a covert war against the Soviets in Afghanistan in the 1980s. Apparently, you can make a good-natured, romantic comedy out of nearly anything nowadays. The film sets out to make “Good Time” Charlie Wilson, the hard drinking, womanizing Democratic politician from Texas, out to be the greatest American hero since Abe Lincoln. Sure, he’s got some character flaws, but when it comes down to it he worked hard for the cause of freedom and democracy. Blah, blah, blah. I personally could care less about his love for whiskey, his multiple girlfriends, his cocaine use or whether he was a good juggler or not. His decisions as a Congressman are what disturb me. The halo simply does not fit. Afghanistan was not Wilson’s first crusade. He spent much of the late 1970s championing the cause of Anastasio “Tachito” Somoza Debayle, Nicaraguan dictator and serial human rights abuser. Somoza’s reign of corruption was legendary. He was best known for stealing millions of dollars that were supposed to go the victims of the devastating 1972 Managua Earthquake. To Wilson, Somoza was not the evil bucket of slime that tortured and murdered just about anyone who disagreed with him publicly while robbing his country blind. Somoza was a great representative of America in the fight against communism. The dictators big mistake was to get drunk and attempt to make a move on Wilson’s girlfriend, Tina Simons. It was only at that point that Wilson decided that Somoza was, in fact, not a great representative of truth, justice and the American Way. This is not to say that Wilson was entirely awful. He was a very complex man who made some important contributions while in office. He also gave aid and comfort to a monster. The second part was apparently not significant enough to make the final cut of the movie (the book by George Crile does cover this in detail). The movie focuses on Wilson’s role in arming the Afghan rebels against the Soviet Union. The film uses the familiar Russians=Evil theme that was quite popular in Cold War propaganda movies. At least in Red Dawn we saw the Russians doing something beyond killing innocent people for a few frames. The only Russians in this film are the ones shooting unarmed peasants from the sky or getting shot down by American supplied Stinger missiles. It’s easy to find fault with what the hideous actions taken by the Russians in Afghanistan. The problem with how the Russians are portrayed in this film is two-fold. First of all, it is mindlessly simplistic and creates the idea that the war was an easily understood battle between good and evil. It was not. The second problem is that it supports the widely accepted narrative that the Russians were solely at fault for the war. In fact, evidence exists to the contrary. Zbigniew Brzezinski, National Security Advisor under Jimmy Carter, has stated that the United States began arming the mujahedeen fighters, who were trying to overthrow the Soviet backed government, months before the Russian invasion. The goal, according to Brzezinski, was to “knowingly increase the probability” that the Soviets would invade. Can you imagine what the reaction of the United States would have been if the Russians were caught doing the same thing in Mexico? This is extremely significant because it clashes with the official story of how the war began. Through the lens of Brzezinski’s comments, Charlie Wilson was not simply helping out a group of people fighting to free themselves from the Soviets, but rather was continuing a pattern of expensive and wrongheaded U.S. intervention into sovereign nations that wreaked havoc across the world. The film ends with a strange postscript. Wilson is recognized as a hero for getting weapons into the hands of the mujahedeen and helping to end Soviet dominance in the region. However, when he tries to get a million dollars in aid to the Afghans after the war he is rebuffed. A Wilson quote about us winning the war but messing up the endgame runs across the screen right before the credits. The message seems to be that it was totally justified to give over a billion of dollars to arm a group of Islamic radicals, but we should have built some schools. Are you kidding me? The largest covert war in American history is fine as long as we build a few schools at the end? As if throwing a few bucks into rebuilding the infrastructure of the country can somehow compensate for the untold damage that arming and training many future Taliban members caused. The idea is reminiscent of some of the crackpot schemes hatched by Kennedy/Johnson advisor Walt Whitman Rostow. He was the guy who decided we could win the hearts and minds of the Vietnamese by taking them off of their land and moving them to fancy, new, isolated towns called Strategic Hamlets. The Vietnamese didn’t want our makeshift Levittowns, they just wanted us to leave. The common thread in this logic is that United States intervention is justified as long as the people get something that we deem valuable out of it. Sometimes the greatest gift we can give a country is to leave them alone. Unfortunately, this message is entirely absent from Charlie Wilson’s War. It is replaced with the twisted idea that the U.S. can plant its flag anywhere it wants as long it brings “civilization” and modernity with it. If you have listened to any thrash metal there is no doubt you have heard the legendary band Kreator. Lead singer Mille Petrozza practically defined the riotous, violent German thrash sound. What many people don’t know about Petrozza is that before he was writing classic songs metal anthems like “Betrayer” he was a remarkable basketball player who won an NCAA championship ring with Michigan State. Petrozza was a high school phenom in Germany. Standing 6 foot 1, Petrozza was an average-sized guard with extremely quick feet. Although he lacked an imposing physical stature he made up for it with a jump shot that could find net from nearly anywhere on the floor. Petrozza was recruited heavily by several major colleges, but eventually chose to play at Michigan State. Magic stepped up and had a tournament for the ages. 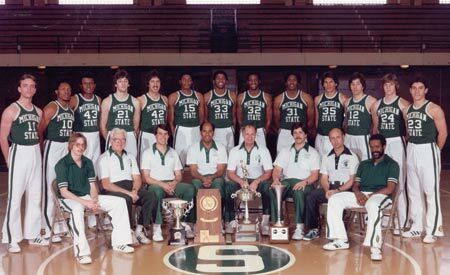 He carried the team to an improbable championship defeating the Larry Bird led Indiana State Sycamores 75-64. Mille got his ring, but was deeply disheartened by not being able to play. He never recovered his 1979 pre-injury form during his final two unexceptional seasons at Michigan State. 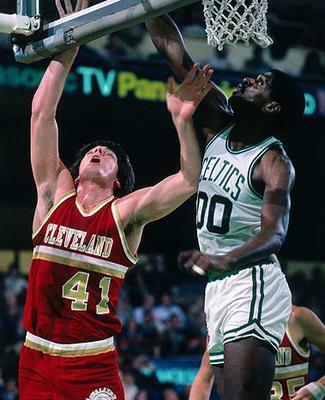 In the 1981 NBA Draft, Petrozza, who had once been projected a high first round pick, slipped to the 2nd round where he was nabbed by the Cleveland Cavaliers. 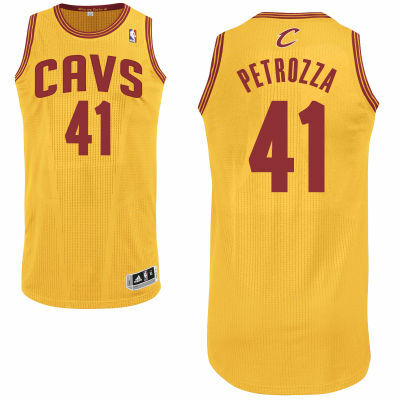 Cleveland was terrible that year but Petrozza began to emerge as a budding star. 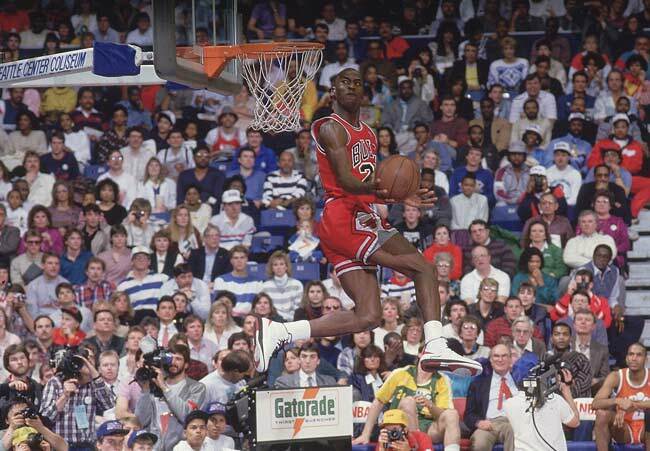 He averaged 12 points a game and wowed other teams with his speed and intensity. Petrozza retired nine months later after an unsuccessful attempt to return after surgery. He decided to devote his life to his other passion, music. 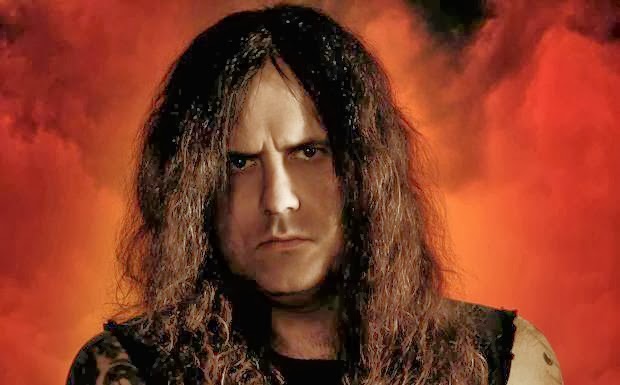 He took the money he had saved from his NBA contract and used it to pay for the recording of the first Kreator record “Endless Pain”, a title he came up with to describe his knee troubles. He never lost his love for the game. In fact, many of the Kreator songs and album titles have subtle basketball references in them. According to Petrozza, the album “Extreme Aggression” is actually a tribute to the press defense he ran at Michigan State. Life has a funny way of moving people to where they are supposed to go. If Petrozza hadn’t had knee troubles he easily could have had a long successful career in the NBA, but then thrash as we know it would have been changed forever. Vladimir: So….you take a watch and you put it in a bag…. Estragon: What type of bag? Estragon: Well, what type of watch is it? Vladimir: Again…not important. You put the watch in a bag. Now, you take a hammer and you smash it. Vladimir: Just see if you can follow me here. 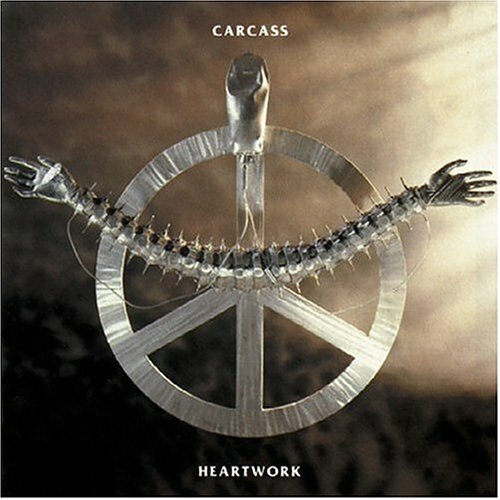 You smash the watch into a hundred pieces…. Estragon: Is it a digital watch or a nice one? Vladimir: It doesn’t matter….You take the watch and you smash it into…. Estragon: Well, why are you smashing the watch? Estragon: What kind of lunatic would break a perfectly good watch? Vladimir: It’s a metaphor. Nobody is really breaking a watch with a hammer. The idea is to prove a point. Estragon: But how can you prove a point using an example that is completely unrealistic. Vladimir: I don’t know. It’s not important! Just listen. Vladimir: Fine. It’s a Rolex. A really nice gold Rolex. Estragon: A Rolex is really expensive. Why would you want to break an expensive watch? And I don’t know if a hammer will break a Rolex into a hundred pieces. Vladimir: Fine. It is an inexpensive magical watch that magically will break into a hundred pieces. Can I get back to my point? Vladimir: Okay, so you break the watch. You shake it up in the bag? Vladimir: Does it re-form into the same watch? Estragon: Well, of course not! Estragon: See what? I’m not sure I follow. Vladimir: Something has to be there to assemble the watch if it’s going to come back together, right? Vladimir: And the watch has been reassembled into a perfect whole, right? Estragon: That is what you said. Vladimir: Well, then there has to be a watchmaker who has a plan, right? Estragon: Uhmmm. Okay. So, who is the watchmaker? Vladimir: God is the watchmaker! Otherwise the watch would still be in pieces. Estragon: Wait…so God reassembled the watch? Vladimir: What do you mean why? He’s God. He doesn’t need a good reason. Estragon: So, God just goes around putting broken watches together? We’re not sure why. That’s just what he does. Vladimir: Exactly. He loves us. Maybe he wants us to have a nice watch. Maybe he wants us to be happy. That’s for Him to know. Estragon: If he wanted us to be happy, why didn’t he just stop us from breaking the watch in the first place? Estragon: So, wait, he loves us so much he is willing to fix the watch, but he won’t stop us from breaking it? Estragon: That’s not a very efficient system. Vladimir: Well, He doesn’t have to be efficient. He’s God. He doesn’t have to explain anything. Estragon: Well, if he’s going to go around smashing watches, I think he owes somebody an explanation. That’s pretty rude. If he smashed my watch I’d be really angry! Vladimir: Okay…forget the watch. We’ll use another example. Pick something. Vladimir: Yes! And you smash it into a million pieces. Vladimir: It still tastes like ham and smells like ham and looks like ham. RIGHT?!?!? Vladimir: So there has to be some kind of ham designer, right? Vladimir: Evolution couldn’t have designed ham. Vladimir: Because it is perfect. Vladimir: Ham! Ham is perfect! Vladimir: To a universe without ham. Estragon: How can you tell? Vladimir: God wouldn’t have created it if it weren’t perfect. Ham is in our universe. Therefore, ham is perfect. Estragon: Okay, now I’m really confused. If God is perfect and created a world that is the most perfect possible world for us, why does he create people who smash ham and watches in bags? Vladimir: To see how much we love him. Estragon: Oh…so we show him we love him by not smashing things in bags? Estragon: I see. So that’s the point of the whole thing! Vladimir: YES! That’s the point. We have the choice whether to smash ham or watches or even possums in bags. If we choose not to, we do it because we love God. And if we do that we will be rewarded. Estragon: With a nice watch? Vladimir: Maybe with a watch. Maybe with eternal happiness. We’re not exactly sure. We just know that the reward is going to be REALLY good. Estragon: And if we smash things in bags? Vladimir: Then bad things happen to us. REALLY bad things. Things like sickness or eternal suffering or boils on our face. Estragon: Boils on our face?!?!?! Vladimir: It won’t be a problem for you if you just do what you are supposed to. Estragon: So these are the rules? Estragon: And if I follow them, I’ll be…………happy??? Vladimir: Unless God has another plan for you. But eventually you’ll be happy. At some point. Estragon: Will I get a watch? Vladimir: If that is what you desire and that is God’s plan and you follow the rules then, yes, you will get a watch. Stage fright is a truly terrible feeling. Many people confront it, but usually they manifest their experience in different ways. Some people cry, some talk louder, some simply feel a vague sense of dread as they move through the speech. What I’ve noticed in talking to people about it over the years is that the experience of it changes dramatically from person to person, but it is always quite miserable if you feel it. 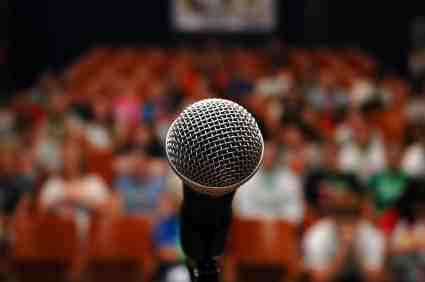 I have an awful fear of speaking on stage. As a teacher, I never feel nervous speaking to a roomful of high school students, but once a year in May I am asked to speak in front of a large audience on a stage with a microphone. The speech itself is something I’m honored to give, but the fear I feel starts around January and becomes nearly debilitating by the end of April. It is only a three-minute speech but my fear of it consumes months of my life. People are always very supportive and try to be compassionate but usually the advice I get doesn’t help all that much. If you mention you have this fear you will get a lot of guidance, but often I’m not sure if the people who give it really understand the parts of it that make it so terrifying. It is an irrational feeling and most rational suggestions fail to address it in a way that is practical. You get advice like “Try to imagine them all naked”. If everyone in the audience were naked I’m sure I’d be even more terrified! How could the thought of hundreds of naked humans staring at you be even remotely comforting? Other people ask you “What’s the worst that can happen?” They have no idea of the circus that your brain becomes for three minutes. The worst that can happen is that you’ll be on stage giving the speech. People simply can’t comprehend why a relatively simple act like this can cause such suffering. I don’t really understand it myself. The following is an attempt to describe the experience in real time. Some of this will sound silly, but every single thought written down has gone through my mind on stage. The goal of this piece is to create a running record of what stage fright actually feels like for me. Alright, here we go. Need another sip of water. If you act confident, the fear won’t come. Okay, time to stand up. They just called me. Fix my jacket. Three buttons…how many should I button? I need to keep it buttoned cause my tie is too short. I look like Oliver Hardy. Someone once told me leave the bottom unbuttoned. Okay. Here we go. Don’t look up. Don’t look up. Just read. You should make some arm gestures. Just hold the podium. Don’t fall. Hands sweating. The podium is see through. Are the spots around my hand fogging up? Do they see me sweating? Act confident. Here it comes. Here it comes. I should have left them all unbuttoned. I should have acted more confident. Now IT is HERE. Hot. What if I pass out? Falling, hitting my head. Would someone catch me? I’m too big. Where am I? Did I just miss a line…no, no, I’m okay….page one is over. Don’t look up. They are all looking at you. They are all looking at you. Is my fly zipped? Don’t look up. Fast. Dizzy when I look up. Falling, hitting my head. IT IS HERE. Does what I’m saying make any sense? Do they hear me? I didn’t practice enough. I practiced wrong. Fast. I practiced too much. What if I forget how to read? Sweating. Pain in the top of my head. Antler pain. I feel like antlers are going to sprout out of the top of my head. Stay focused. Where am I? I am reading, but I don’t know how. There is another me reading. I don’t even know what the other me is saying. Why are they laughing? Did I say something funny? Did I do something embarrassing? I didn’t write that to be funny…what’s happening??? FOCUS!!!! Antlers. Sharp, sharp pain in the top of my head. Halfway done. Sweating. What if I can’t breathe? Slow down your breathing. What if I can’t? I don’t control my breathing. Long way to go in this speech. Lots of words left. What if I start saying weird things? What if I start shouting random nonsense? NO CONTROL. What if I burp? What if I start cursing? What if I lose control of my body? Sharp pain in my head. Antlers are growing inside. Will they pop out? One page left. Downhill, downhill, breathe, another minute…..breathe. If I can just get one more page. What am I talking about? Where am I? DON’T LOOK UP!!!! THEY are watching you….breathe….breathe….you are going to fast…..no one understands….breathe….one paragraph now…..look up once…try it…..try it….dizzy….FOCUS….DON’T LOOK UP…..clapping…no more words….handshake….get to the chair….don’t fall….don’t pass out…get to the chair…..sit down…..breathe…. We, at The Tyranny of Tradition, are proud to present today’s guest writer, Jonathan Winthrop. Winthrop is a conservative columnist, syndicated talk radio host, all-around great American and a proud parent of four boys (McCarthy 12, Reagan 8, Goldwater 6, and Huckabee 2). He is the President and co-founder of Americans for Progressive Corporal Punishment, a group committed to teaching family values to bad parents. He is the author of several New York Times best-sellers including “12 Easy Steps to Teaching Your Child To Fear and Respect Authority Figures” “Attila The Huns’ Strategies To Being a Better Parent”, and “Look Mom, No Values: A Parents Guide To Living In A Fallen World”. I know, I know, your young children are learning lots of bad habits from television and from that Odd Future Wolfgang Kill’em All rap album you just bought them. Parenting can be a tough job. But, parenting is the most important job in the entire world. After all, without children there wouldn’t be adults. If there weren’t adults, who would be there to produce a lasting supply of inexpensive consumer goods. Without inexpensive consumer goods, what would drive our economy? As you can see, without children, our world would quickly turn into a communistic hell on earth. I’ve put together a list of six really important lessons that you should be teaching your children so that they don’t end up hooked on crack-cocaine or becoming a “community organizer”. It’s the oldest piece of advice in the book. Strangers are a threat under all circumstances, particularly when they dress like they are in 1970s cop films or have foreign accents. If your child doesn’t know a person, chances are that person is looking to cause them terrible harm. Strangers have done terrible things throughout history. John Hinkley was a stranger to Ronald Reagan when he tried to assassinate him back in 1981. Had Reagan died there is no doubt that an Iron Curtain would have descended on the United States stifling freedom for the next thousand years. Be a good role model for your children by ignoring anyone who asks you for help and not saying hello to anyone unless you have known them for at least three years. Lots of people are trying to take your money from you all the time. Sometimes, they want to give you valuable things in return like toaster ovens or televisions with picture-in-picture capability. Sometimes, they are looking to take your money and use it on drugs or food. Most people on the street simply can’t be trusted. If they are behind the counter at a reputable store in a good part of town, that’s one thing, but according to a study done by the Heritage Corporation 97 percent of people who are who live in bad parts of town are either “highly dangerous”, “just can’t be trusted” or are “too lazy to go out and earn a living.” Do not give them money under any circumstances. It will contribute to a vicious cycle of poverty and Islamic radicalism. Just because you were born in the greatest country in the history of the human race doesn’t mean you should feel bad about it. Most people are looking to blame you for their problems when their suffering is actually caused by the fact that they have made bad decisions. Everyone starts equal in this life. Don’t let their statistics about people being “born in poverty” confuse you. According to a study done by the American Freedom and Values Council For A Freer America, 96 percent of Americans who are wealthy have better morals and make better decisions than those who make less than 50,000 dollars a year. You are where you are because you worked harder than anyone making less than you. Teach your children to be proud of what they have achieved and scornful of those who haven’t achieved as much. Social programs like affirmative action and gun restriction laws have weakened most Americans’ ability to live a happy, free and safe life. Teach your children to be active participants in government by stopping the government from taking your money and giving it to other people just because they are “hungry” or unable to provide themselves with adequate shelter. Thomas Jefferson once said something like “Government is the enemy of free people everywhere, particularly when it gives the money of hard working people to undeserving losers.” He was right. Teach your children that government and special interest groups like illegal aliens are responsible for most, if not all, of their problems. 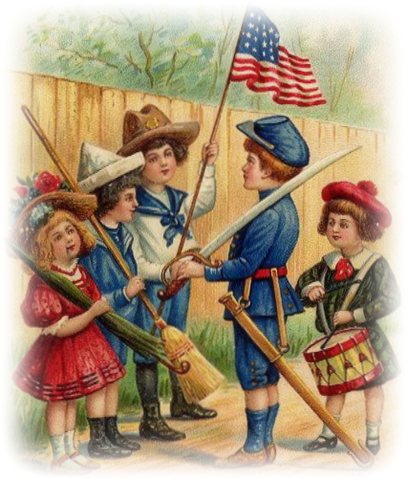 That way, when they become adults they will have absolutely no problem getting rid of government organizations that are slowly rotting America away like the Food and Drug Administration. America has fallen behind in math test scores around the world. According to a study done by the Americans For a Freer Society With Better Test Scores, 103 percent of American 8th graders can barely count up to five. If this trend continues our children are going to become adults who are unable to figure out how much of their weekly check goes to building important tools of peace like stealth bombers and aircraft carriers. They will never be able to experience the joy and pride one feels when counting how many more nuclear missiles we have compared to the rest of the world. Then, they will never know how truly lucky they are.